Finally we have good weather in Munich. Last night I was sitting on my balcony at 02:00 AM and I noticed how clear sharp sky was. At one point I saw a bright moving object and I said to myself – what if is the ISS and stupid me is looking at it thinking “is an object”. I remembered I saw a video from SmarterEveryDay where Destin Sandlin mentioned about a site that can alert you when ISS is visible from your area. So I was thinking if I can plan my next photography session somewhere outside Munich trying to get a nice picture of the ISS in the sky. Well is not that difficult to track ISS and precisely plan your session. ISS can be seen from Earth with your bare eyes. You just need to know the exact moment and where exactly to look on the sky. Chose a place where you want to see the ISS and take the pictures. The best time to see it is either just after sunset, or just before sunrise. You also need clear sky. Best place to choose – somewhere outside the city. 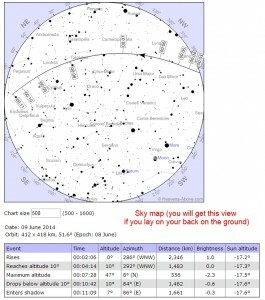 Use http://www.n2yo.com/?s=25544, http://spotthestation.nasa.gov and http://www.heavens-above.com/PassSummary.aspx?satid=25544 to track the ISS (for all these sites make sure you correctly specify your location). 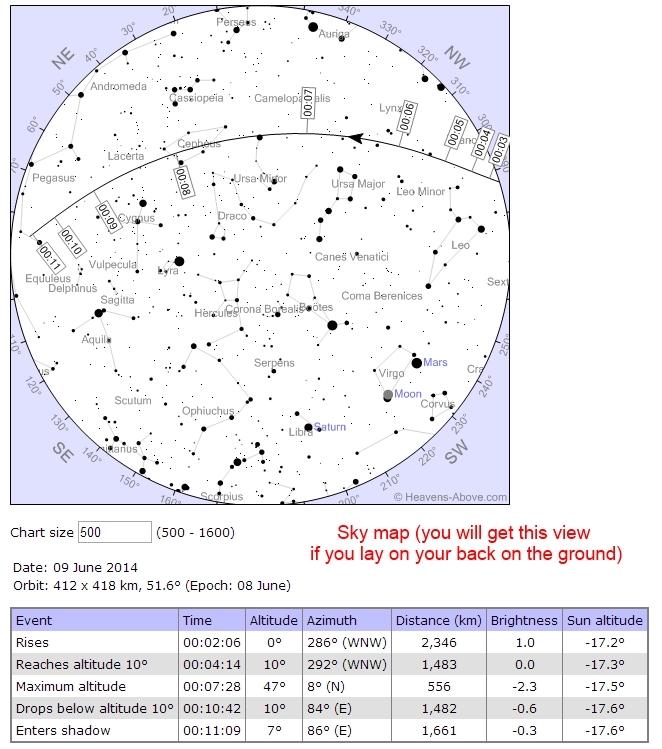 Make sure you select a visible pass where the brightness is good (the values are expressed in apparent magnitude – the lower the value is, the brighter the ISS will be on the sky). 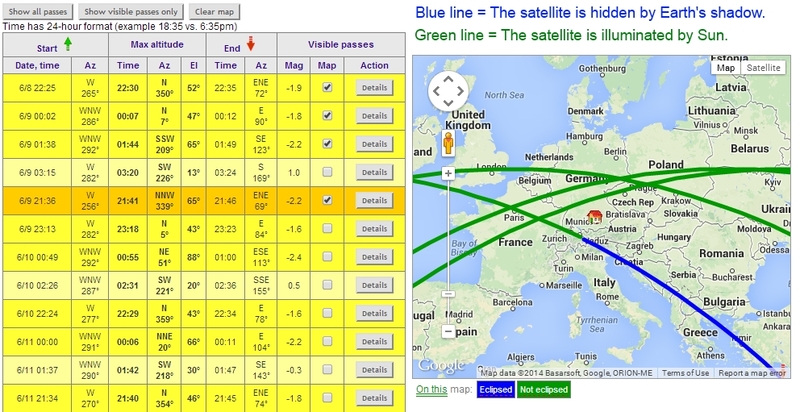 Also take in consideration the earth shadow (ideally you should choose the visible pass with the longest green line). 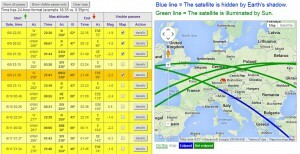 Use http://www.suncalc.net/ to figure out how dark it will be when the ISS will be visible from your area. Is not stupid at all to check this. You usually have like 5 minutes visibility of the ISS on sky and if you plan to capture it on your camera maybe you should prepare the moment. There is no time to tune your DSLR settings at that moment. Just be prepared and shoot. www.suncalc.net is a very good tool for the photographers. Get a compass. 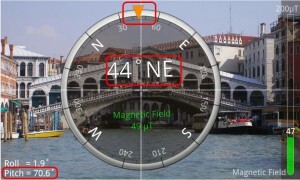 Your smartphone can also be used as a compass (I prefer Smart Compass). If is your first time, practice how to use the data from the sites mentioned above (step 2). I usually have in mind how the location where I will be is looking like, I use the compass and the www.heavens-above.com sky view map to figure out approximately how the ISS will move on the sky based on the following three moments: rise, maximum altitude, entering shadow. Go to the picked place in time, install your tripod and camera, practice a couple of shots, wait and shoot.